In the age of social media, travelers are beginning to choose their vacation destinations based on how well they believe their photos will perform on their social accounts. 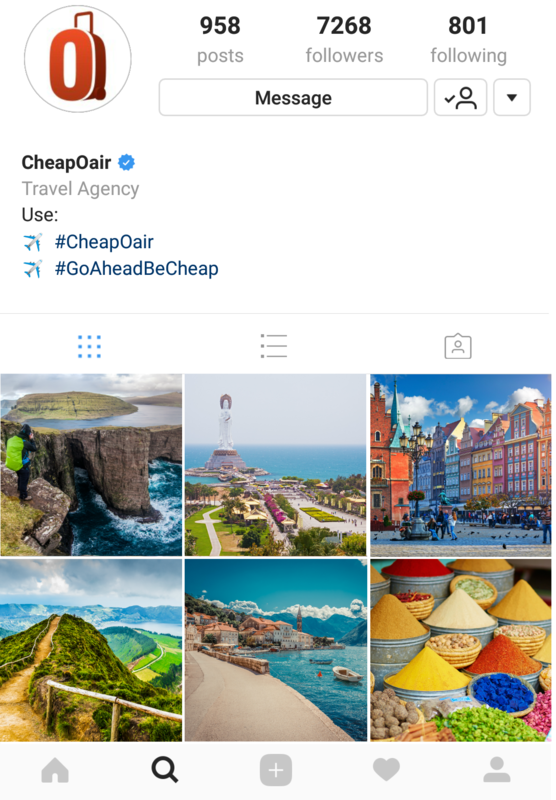 To help travelers find the next destination that will get them the most “likes” and help to establish them as travel trendsetters, CheapOair.com has selected its picks for the most photogenic destinations you’ve likely never considered traveling to. Instead of Iceland, try Faroe Islands: You’ve probably noticed that Iceland has skyrocketed in popularity over the past decade, but the more photos of the Blue Lagoon that appear in your social feed, the more the novelty wears off. Instead, experience one of Europe’s best kept secrets: the Faroe Islands. Spectacular secluded landscapes, millennia-old history, and a unique North Atlantic cuisine are just a few reasons this off-the-radar spot should be next on your list. Average airfare for summer travel from the US to the Faroe Islands is $1,193*. Instead of Singapore, try Hainan: China’s Hainan Island is being called the “Hawaii of the East” and is even starting to garner comparisons to Dubai for its newfound luxury vibe. To promote tourism, the Chinese government recently launched a program granting 30-day visa-free access to the island for tourists from 59 countries including the United States. While there, check out the 350 ft. Buddhist statue on the shores of the South China Sea. Average airfare for summer travel from the US to Hainan is $1,343*. Instead of Prague, try Wroclaw: Poland isn’t one of those countries you hear about tourists flocking to, but that doesn’t mean it shouldn’t be. Wroclaw is a beautiful city with rich history dating back as early as the 6th century. Don’t miss the city’s main square surrounded by colorful tenement buildings. The square was destroyed during World War II but was rebuilt to honor Wroclaw’s medieval past. Average airfare for summer travel from the US to Wroclaw is $1,086*. Instead of Costa Rica, try the Azores: Black sand beaches, lush greenery, and volcanic peaks make the Azores the perfect backdrop for your next subtropical getaway. Despite being an easy flight from the east coast – under 6 hours from New York, Boston, and Providence – the Azores are still widely undiscovered. Outdoor activities like hiking, biking, and surfing are popular activities for both locals and visitors. Average airfare for summer travel from the US to the Azores is $770*. Instead of Croatia, try Montenegro: Just across the border from Croatia, Kotor is a medieval town with slightly less exposure than Dubrovnik. The charming town is nestled in a fjord-like bay and is perfect for spending a day getting lost. Average airfare for summer travel from the US to Montenegro is $1,359. Instead of Dubai, try Marrakech: From the delicately painted tiles, to the colorful goods in the souks, to the winding alleys of the old town, Marrakech is a city just waiting to be photographed. Simply wandering around is your best bet for finding a shot that will wow your followers. Marrakech is also a great starting point for visiting the remote, snow-capped Atlas Mountain range. Average airfare for summer travel from the US to Marrakech is $1,206*. *Based on average roundtrip airfare for tickets booked as of 5/15/18 for travel departing from all US gateways June 1, 2018 – August 31, 2018.